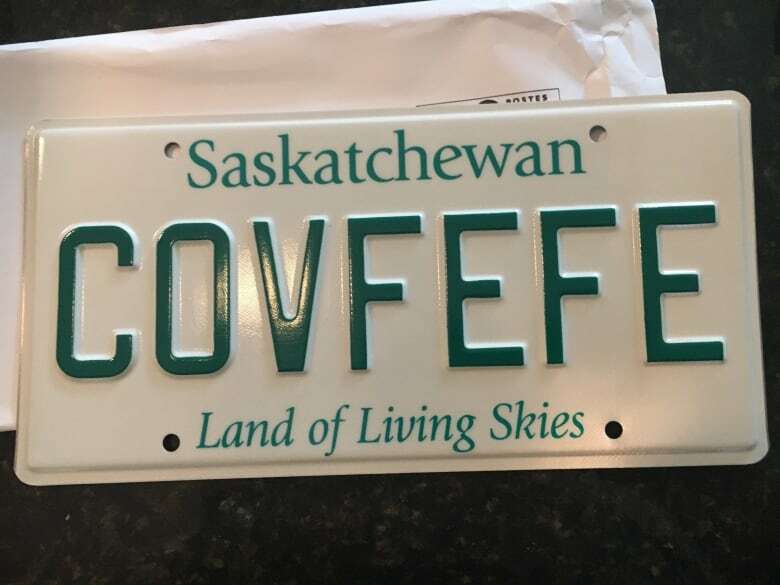 It's been a bumpy road for a Regina man to bring a personalized licence plate commemorating a tweet by U.S. president Donald Trump to the Land of Living Skies. But Darin Lanigan will soon have "covfefe" on a Saskatchewan licence plate after all. That word was used by U.S. President Donald Trump last week in a tweet, which was later deleted. Its meaning remains unclear — something Trump himself made fun of in a subsequent tweet. The tweet has since spawned many jokes, as well as a number of requests for licence plates south of the border. Lanigan saw a story on social media about a man in California who had secured a "covfefe" plate and applied for one himself the same day. The Saskatchewan Government Insurance website said the plate was still available, so Lanigan put in an application to secure it. "I think it just sums up what's going on in politics down there," Lanigan said of the U.S. political scene. "It's nonsense. And this is just a perfect summation of the nonsense, is a nonsense made-up word." 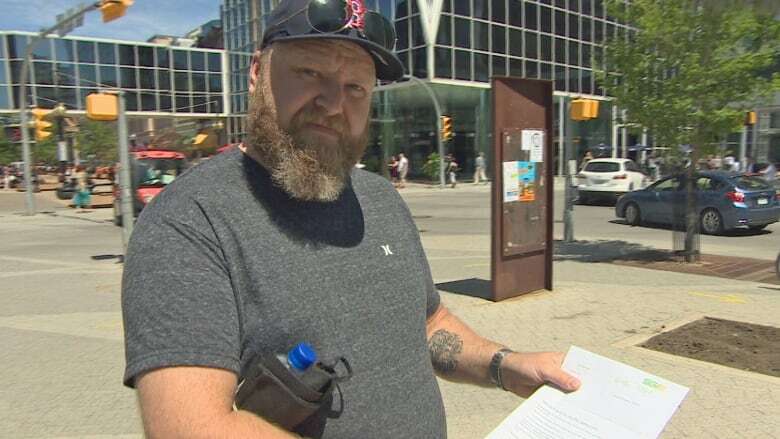 However, in a letter dated the day after Lanigan's application, SGI said his personalized plate could not be processed because it was an "unacceptable slogan." Tyler McMurchy, SGI's media relations manager, said the company initially deemed "covfefe" to be a political slogan — which is not allowed. However, on Wednesday morning, an internal panel which reviews decisions about personalized plates reversed the ruling. "While the word itself has something of a political origin, in that it was coined — apparently — by a politician, it's not really a political word," McMurchy said. 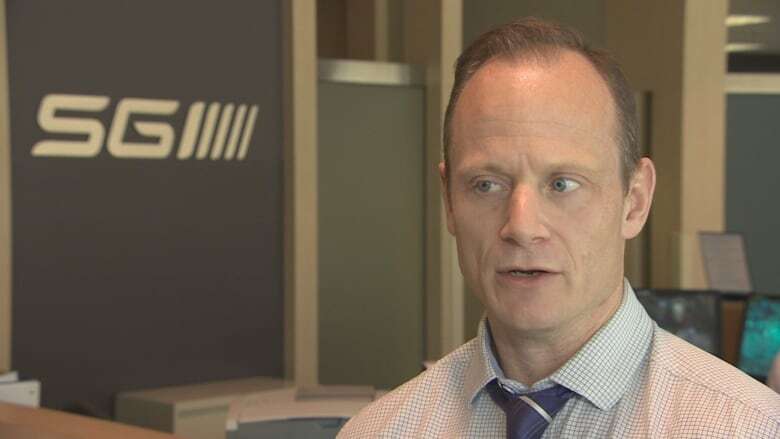 McMurchy said SGI rejected just over 100 licence plate ideas in 2016. It has rejected thousands of slogans over the years, including any which are deemed to promote risky driving behaviour, crimes, drugs, racial slurs or have sexual or political connotations.